If you are interested in jewelry design, you can create jewelry for family, friends or profit. Today's jewelry designers have more materials and tools to work with than ever before. Jewelry design can be an inexpensive hobby or a full-time profession. It can be as simple as stringing beads onto a necklace or as intricate as working with metals and gemstones. The choice is yours. No gift is appreciated more than something you've made yourself that reflects the style and personality of the wearer. A good place to start when designing jewelry is to make gifts for special occasions. Perhaps you don't want to make jewelry; you only want to design jewelry. Start with a sketchpad and draw out your ideas. Now, you'll have to find someone to team up with who does want to make jewelry. Your local craft stores may know the name of someone who will work with you, besides offering classes in jewelry making. You can also post a notice on your local library bulletin board, or ask friends if they know of someone who makes jewelry. You may even offer to pay the jewelry maker to bring your ideas to life. It's been said to do what you love and the money will follow. If jewelry is your passion, there are many different ways to make money designing jewelry. Many designers sell their products at local craft fairs or flea markets, for example. Sites such as ProPay offer small business owners a way to accept credit cards without the high merchant account fees. 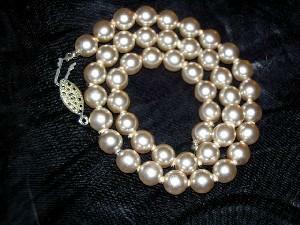 Others sell their jewelry online via a website or on Ebay. Sites such as Homestead offer free space. If you sell on Ebay, you'll want a Paypal account, which is free to open. Some jewelry makers offer their items at in-home parties, similar to a Tupperware party. The best way to start in this business is to ask a family member or friend to host a party. Many others sell custom jewelry design pieces. In this business, the jewelry maker takes pre-orders and customizes the design to suit each customer's needs. Savvy jewelry designers understand the importance of diversifying and putting their products in multiple markets by combining some of the suggestions above. Although the he or she may place jewelry pieces on Ebay, the designer is also willing to take custom orders or attend a nearby craft fair to make additional sales. Just like any business, if you have a passion for jewelry design, you can make a living. Designers are creative by nature, so keep your mind open to possibilities to sell your pieces and create the best possible jewelry you can.